Could this be the beginning of a new epidemic of videogame related sculptures. Remember the wave of pumpkin sculptures? It was dwarfed by some of the larger creations there but was still very cool to see. 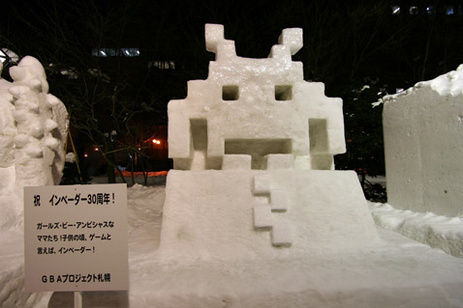 A lot more cool than the Al Gore snow sculpture that looked like Kim Jong-il.